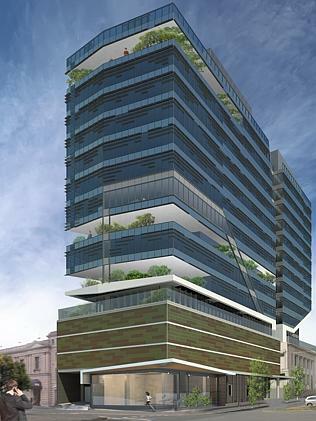 The 1 Malop St project is getting a green makeover. 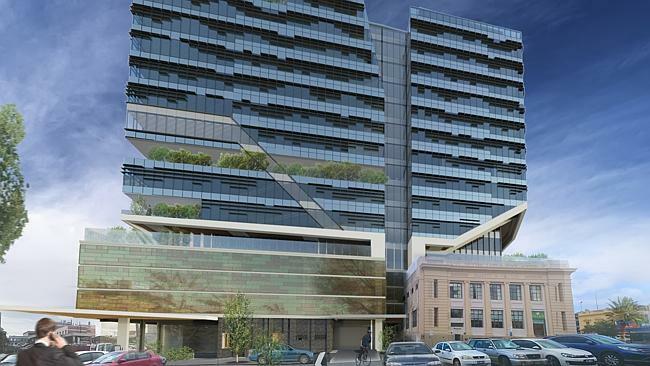 GEELONG’S CBD and waterfront precinct has been earmarked for some serious green by a major developer. Quintessential Equity head Shane Quinn, the man behind the proposed more than $100 million transformation of 1 Malop St into a high-end office tower, has overhauled plans to transform the site into a vertical greenscape. Speaking to the Geelong Advertiser this week, Mr Quinn revealed he was not only hoping to have 1 Malop St, Geelong, under construction as early as February, but also wanted to purchase two additional properties in or near the waterfront Deakin University precinct in order to develop a further office building as well as student accommodation. Mr Quinn said he hoped to acquire the properties within 12 months. “We are definitely on the lookout for another office building location we can build on, and then see where it goes from there,” he said. The green plan ties with the ‘City in the Park’ vision. In revised plans for 1 Malop St, balconies would be filled with plants and “green walls” incorporated into the site to transform it into a vertical bookend to the proposed City in the Park concept. “The idea is to pull Johnstone Park up and into the building,” Mr Quinn said. Geelong deputy mayor Michelle Heagney said she believed efforts by the council to make change in the city’s CBD were now being recognised by developers. “We are just starting to get to the tipping point now,” Cr Heagney said.